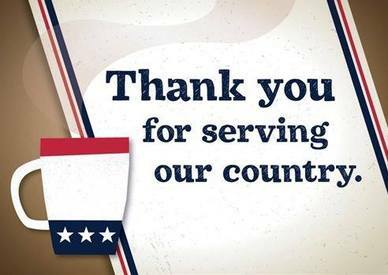 Starbucks is offering a FREE coffee to active duty servicemembers, veterans and military spouses today!. On November 11 your tall (12 fl oz) hot brewed coffee is free. *At participating stores. Limit one per person. Customizations are extra.